Today is my birthday. And I have so many reasons to celebrate and many of those reasons are my friends. Last night I shared my gratitude at a party with 22 of my closest girlfriends and they surprised me with this beautiful Friendship Box. 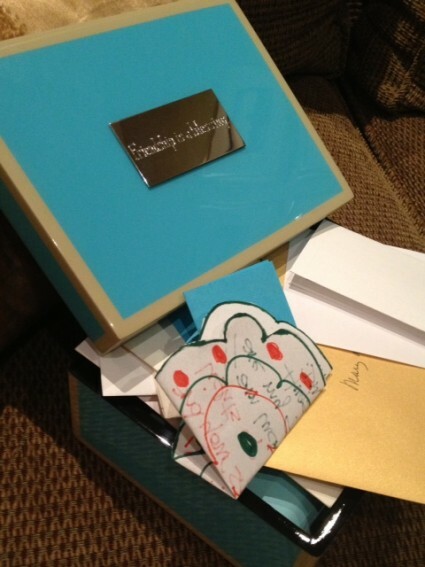 The box, which is God Box blue, holds notes, from all of these wonderful women–family and longtime and brand new pals, each note as unique as they are. Even those who couldn’t make it sent notes. And the lid is engraved. ‘friendship is a blessing’. It is… And I am so blessed. Tears tonight when I read these. Count on it!